This classroom-oriented program focuses on theory and application, and serves as a foundation for graduate study. It prepares you to deliver comprehensive nursing care to patients of all ages in a variety of health care settings as direct care providers and leaders. Our courses build on, but do not duplicate, the content taught in basic nursing programs. The master's program does not review basic nursing knowledge or develop basic nursing skills. Rather, it builds on your undergraduate nursing education and focuses on the application of advanced theory and clinical practice skills. The 51-54 credit hour Master of Science in Nursing Program is designed to prepare the baccalaureate registered nurse for advanced nursing practice. The College of Nursing at SUNY Upstate Medical University is the only college in the Syracuse area exclusively designed to further educate registered nurses (RNs), offering bachelor's, master's, post master's, and continuing education programs. 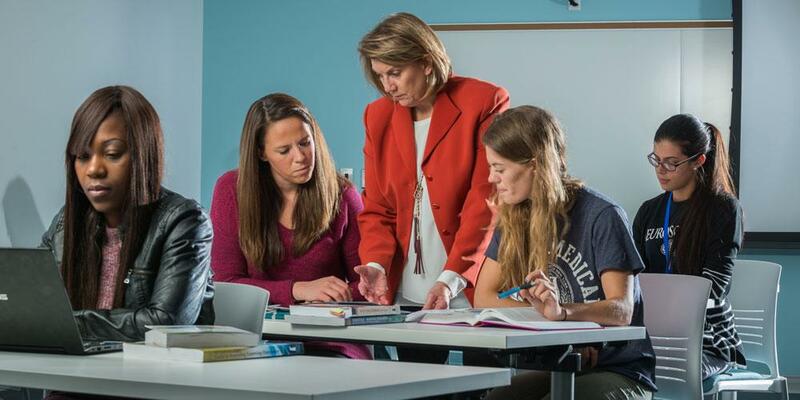 The full-time DNP doctoral program at Upstate is specifically for the master's prepared Nurse Practitioner (NP) or Clinical Nurse Specialist (CNS). It is a clinical doctorate designed for those in clinical practice and in areas that support clinical practice, such as administration, organizational management, leadership and policy. ACCREDITATION | The programs in nursing are accredited by CCNE. Last Modified: June 25, 2018. Contact Alice Boyce with questions about the content of this page.